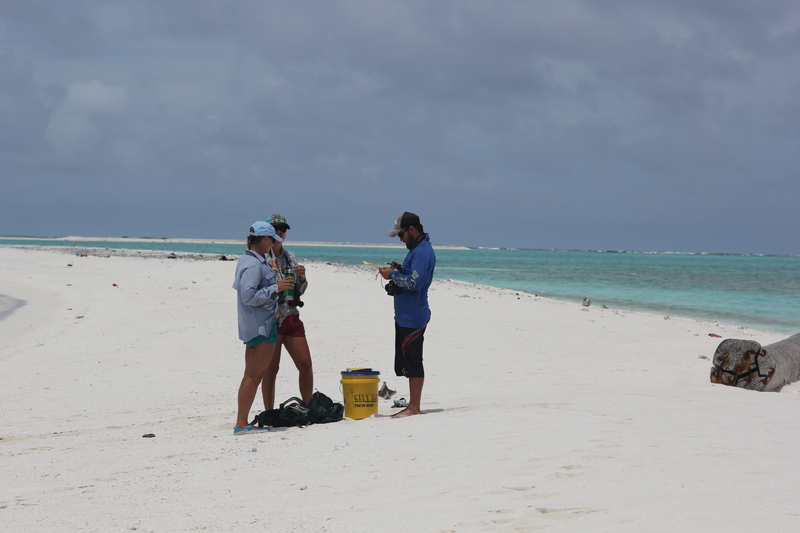 Darren and his three campmates, Megan, Alix, and Caroline, spent their summer months at Pearl and Hermes Reef counting and saving monk seals. Darren shares a little bit about how we go about counting seals and estimating the population. This data and population estimate serves as the foundation of EVERYTHING we are able to do to help save monk seals. But none if it could be done without dedicated people working together. 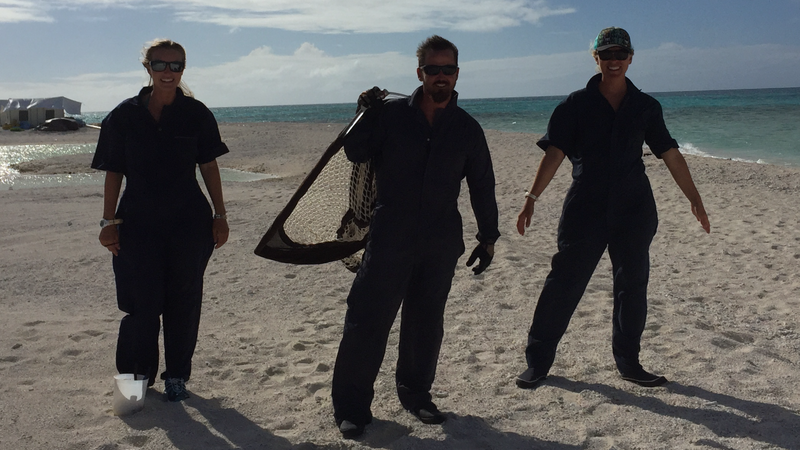 Our goal, above all else, is to recover the monk seal population. The first step to recovery is having a deep understanding of population size (the total number of seals), and trends (increasing or decreasing), so you know what is working, and just as importantly, what is not, in terms of conservation actions. Mark-recapture is a long-standing method of counting wildlife populations. In species with large populations the idea is usually to mark a portion of the population in some way (maybe tags, bleach marks, shaving a part of the fur) and release them back into the population to mix. Some time later, more animals from that population are recaptured. By using the percentage of the recaptured animals that were marked versus unmarked, scientists can estimate population sizes. 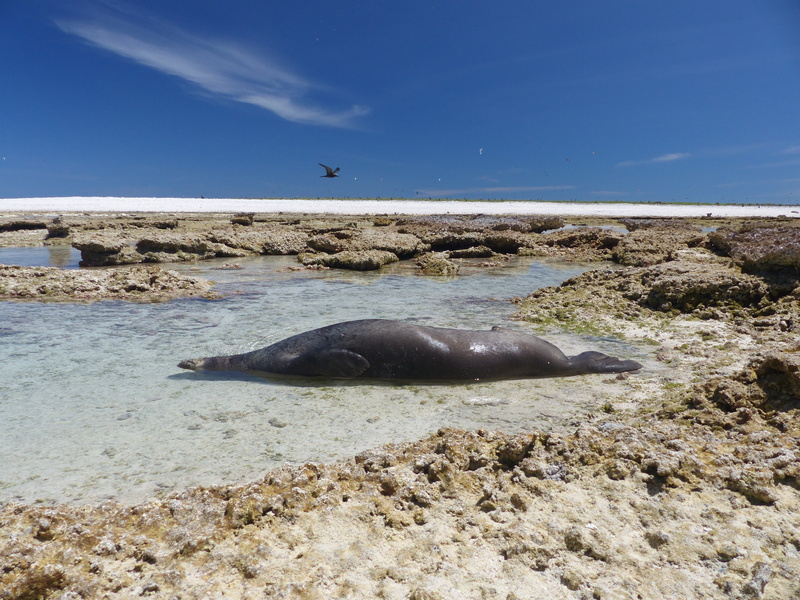 With monk seals we have the amazing opportunity to recapture nearly the entire population. This opens a treasure trove of information about the seal population. We not only get a good estimate of overall population size, but also insight into valuable and interesting information such as how well animals survive at different locations, how well different aged animals survive (like juveniles versus adults), number of pups born, inter-atoll movements, and so much more. To achieve this, two things must happen: the animals must be ‘marked’, and then over the years the animal is ‘recaptured’ with each sighting (as opposed to physically handling them). A ‘mark’ is just a way of saying that the animal needs a persistent and unique marking that identifies them as an individual. In this case ‘recapture’ simply means to positively identify the individuals marked initially. We do this in primarily two ways. The first method is to tag the animals when they wean with two flipper tags. The second way is to identify individual animals with photos of scars and marks that they have naturally collected throughout their life. Using scars is problematic in young animals that have not had time to collect the wounds that an adult usually acquires with the passage of time. But some seals never get discernible marks and, over time, animals can lose their tags. So sometimes scientists must tag, or retag adult animals, to ensure they are captured in our estimates. The last two times I was at Pearl and Hermes the camp was operated by three people. In the last few years we have added a fourth person to the team in order to produce a safer and more productive camp. This change has also allowed us to address a growing problem for the Pearl and Hermes population of seals. 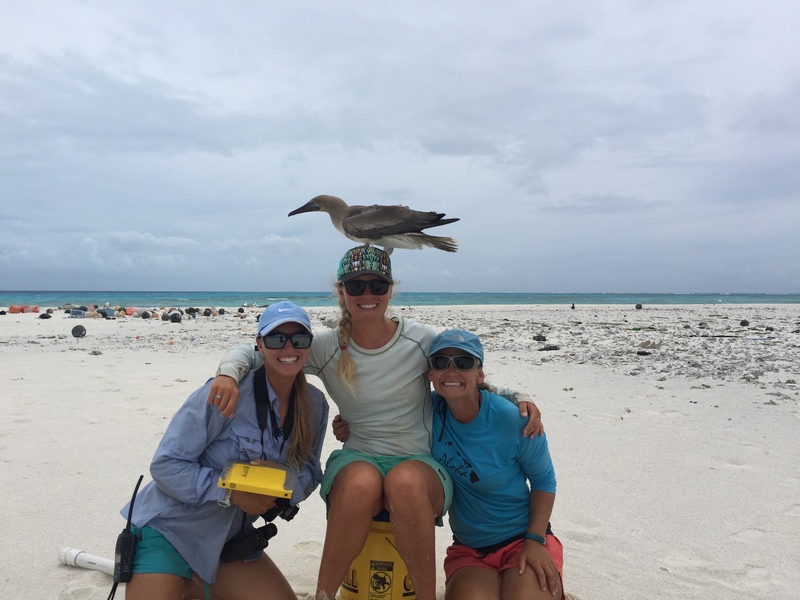 Our older animals were all losing their flipper tags and our ability to monitor the population was starting to degrade, but an expanded team could help fix that. Handling adult animals is an activity that is only allowed with four or more qualified people. Handling large animals has the tendency to bring people to their peak focus. If getting up close and personal with a 500 lb animal doesn’t make everything else in the world fall away, I don’t know what will. For me personally, a big highlight this season was getting to tag some of these animals with our team. We saved these tagging efforts until late in the season when our team was working seamlessly together and everyone had the experience necessary to do the work safely. This year we had an exceptionally bright and talented group. A good mix of experience, brains, and some muscle to back it up. Tagging these seals has important scientific value as explained earlier, but there was a deeper meaning for the team, as it was a challenge that drew the team together, and how that camaraderie lasted after. I think it was a great reminder for our team that a small group pointed in the same direction is capable of so much more than an individual. It wasn’t simply that we were able to successfully tag these impressive animals, but that we had the focus, communication, and trust that it takes to execute a mission like that safely. There are few things in my life that I enjoy more than working on a team that operates as a unit; where a nod, a look, or a tap on the shoulder communicates more than a ten minute discussion would with other people. This season, after a lot of hard work, we got there. It trickled down into everything we did. As an individual we fail, but as a team we succeed. In my opinion that is a successful season, and I can only hope for more like it in the future. 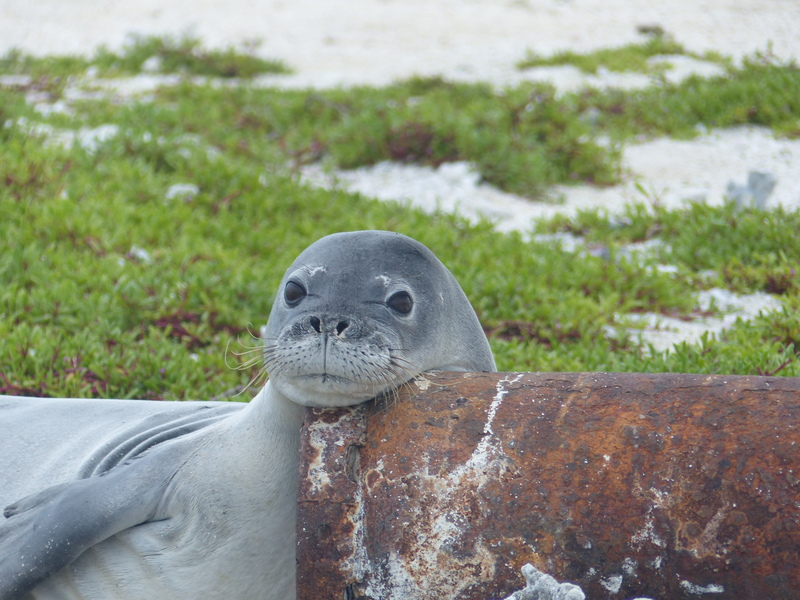 This entry was posted in Protected Species and tagged Hawaii, Hawaiian monk seal, NOAA, Northwestern Hawaiian Islands, NWHI, Pearl and Hermes Atoll, PIFSC, Protected Species, PSD. Bookmark the permalink.